Time for all of us YA readers to go all in on the most recently published and critically acclaimed YA books. So let’s talk about my favorite part of this challenge…catching up on the most acclaimed YA graphic novels of the last year or so. My dream TBR pile? Perhaps. Most YA readers know that graphic novels are way more than just action and superhero comics (though those are also incredibly valuable reading materials!). 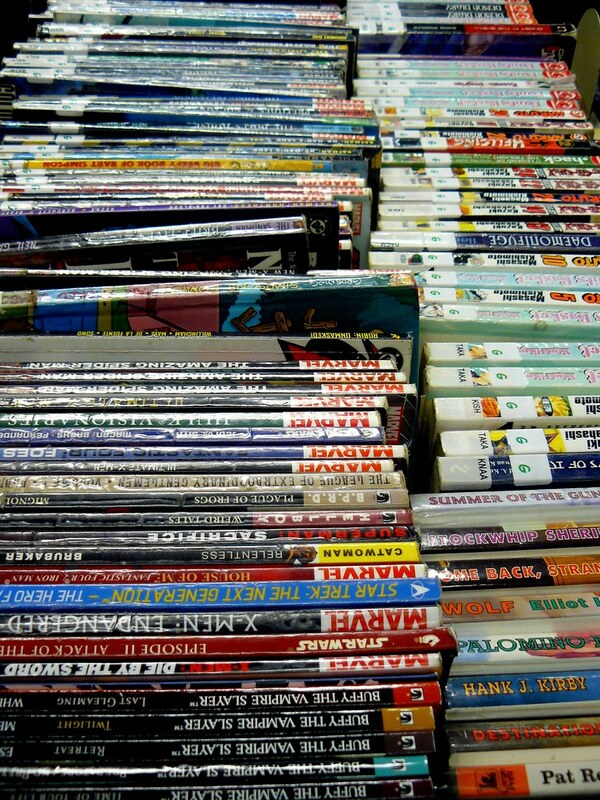 And with the book format’s ever-growing popularity, there are more and more excellent graphic novels being written every year! Which ones have I read for this year’s Hub challenge? 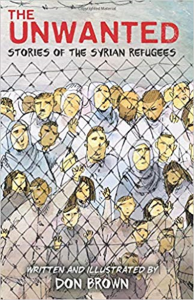 Don Brown’s The Unwanted: Stories of the Syrian Refugees, Jarrett Krosoczka’s Hey Kiddo: How I Lost My Mother, Found My Father, and Dealt with Family Addiction, and Gengoroh Tagame’s My Brother’s Husband series (Vol. 2, if you want it to count for the Challenge!) are all excellent additions to your TBR pile (these are the ones I’ve read, so I speak from personal experience). Still looking for a title to fulfill your graphic novel requirement? The 2019 Great Graphic Novels for Teens Committee has already done all of the work of putting together a great selection list for you. If you’re a seasoned GN reader, you may recognize some of these authors and artists, but there are a number of first-timers on this list as well! 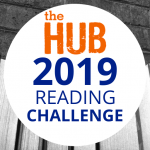 You can find a list of the eligible titles for the 2019 Hub Reading Challenge here. 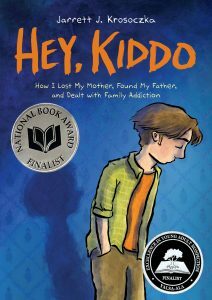 If you like these, take a look at the full list of the YALSA 2019 Great GNs for Teens here! And, for the challenge, the full list of eligible titles is available here. How many of the requirements have you successfully completed already? 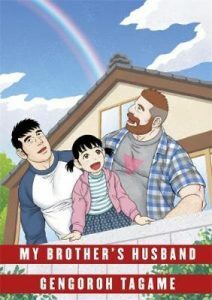 Which graphic novel(s) are you planning to read? Be sure to let us know in the comments! And be sure to tag any social media posts with #hubchallenge! We still have some time, but the end of the challenge will soon be upon us! Keep up your YA reading! And if you’ve already finished, be sure to let us know here! Books must be read/listened to (both begun and finished) between the date the award winners and selected lists have been released and June 30, 2019 at 11:59pm EST. If you’ve already read/listened to a title (before the winners/selected lists were announced), you must re-read/listen to it for it to count. The challenge ends on June 30, 2019 at at 11:59pm EST. Once you’ve completed the challenge, let us know by completing this form. The grand prize winner will be selected by 11:59pm EST on July 1, 2019. The winner will be notified via email. 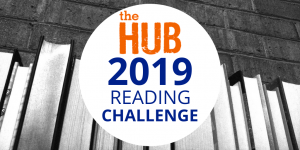 The 2019 Hub Reading Challenge Begins Today! Overall, I’m 16 books into the challenge and looking forward to everything else I’ll read! I’ve got five more titles in this month. I always feel quite proud of the amount of reading I’ve done until I come to report. Then I always feel short of where I should be. Everything I read this month was excellent & the first three on this list have already become favorites in my library after just a tiny bit of handselling. I’ve read 3 from the Great GN list so far, all of which I loved, butI have some significant required reading expected of me during May, so I am concerned for my progress. The Unwanted & Check, Please! are both high on my list, so hopefully I can squeeze them in sometime soon. I just finished listening to Sadie last night. I stayed up late because I was so close to the end and when I finished it… well, lets just say my eyes were not dry. I love graphic novels! A few of them I had already read and since I am trying not to reread anything for this challenge I only have three on my list: Speak, Hey Kiddo and The Unwanted. I am 12 books into the challenge. 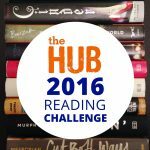 I have read an additional six books in since the last check in and have read a total of 17 books for the challenge. I’ve slowed down a bit this month, but made it to read number 17 with Sadie by Courtney Summers. Interesting storytelling format. I really liked it once I got used to the format. I’ve only read two graphic novels so far, but really liked The Prince and the Dressmaker. I haven’t been able to read as much this month I have only finished a couple so far. I should be able to finish 2 more before the end of April. Hi there! I think I’m at 15 books so far! I’ve listened too: Educated and Front desk this last month. Just started listening to the children of blood and bone. I’ve read 5 GNs this month, Anne Frank, Crush (Fav!) and Speak, Unwanted and Refugee. I just finished landscape with an invisible hand( not my favorite..) and currently reading #MurderTrending.